(B. 1935) Christo Vladimirov Javacheff and Jeanne-Claude were a married couple who created environmental works of art. Born on the same day, June 13, 1935, they then fell in love through creating art work together. In February 1964, Christo and Jeanne-Claude arrived in New York on board of the SS France. 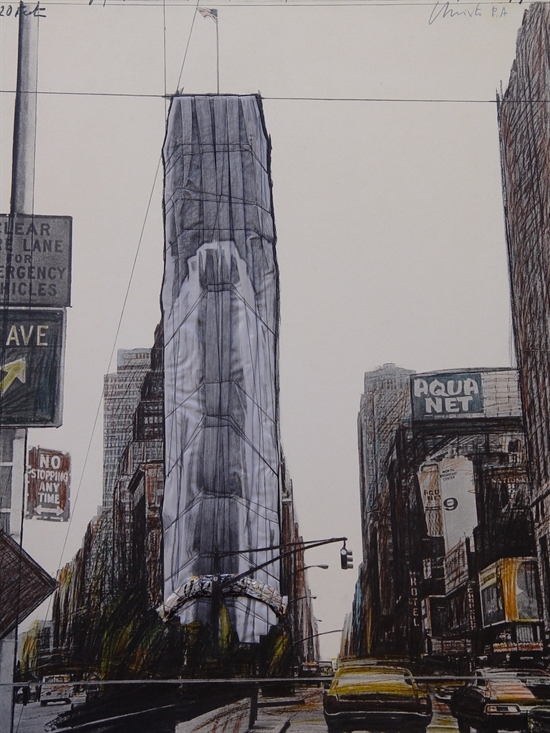 In early 1968, friend and art collector John Powers introduced Christo and Jeanne-Claude to the chairman of the board of Allied Chemical Corporation, hoping to get permission to wrap the Allied Chemical Tower, No. 1 Times Square in Manhattan, the former headquarters of The New York Times. After a few weeks of negotiations, the board refused to allow the artists to wrap the building.